Professor and Head, Department of Nephrology in AIIMS since 2009. 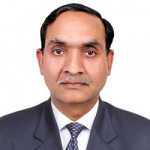 Dr Sanjay Kumar Agarwal, graduate and post graduate from King George Medical College, Lucknow did his nephrology specialization from All India Institute of Medical Sciences, New Delhi in 1987. Since then he is working in the same department. Kidney diseases, particularly acute kidney injury (AKI) and chronic kidney disease (CKD) contribute to more than 10,000 patients per million populations in India. These are not only serious diseases but also involves significant finances of the patient and family. While working at AIIMS in last 30 years, during various media briefing, radio talks and non-nephrology meetings, significant lacunae in general knowledge about kidney disease in general public became obvious. How do we define CKD (Chronic Kidney Disease)? Dr. Sanjay Kumar Agarwal, Professor and Head of Nephrology, AIIMS, will explain about chronic kidney disease in this ..
How do we classify CKD (Chronic Kidney Disease)? In this video, Dr. Sanjay Kumar Agarwal, Professor and Head of Nephrology, AIIMS, will explain the classification of .. The video talks about the differentiating points about glomerular and tubulointerstitial CKD by Dr. Sanjay Kumar Agar.. In this video, Dr. Sanjay Kumar Agarwal, Professor and Head of Nephrology, AIIMS, will discuss the reversible causes ..
Dr. Sanjay Kumar Agarwal, Professor and Head of Nephrology, AIIMS, will talk about chronic kidney disease and NSAIDs .. In this video, Dr. Sanjay Kumar Agarwal, Professor and Head of Nephrology, AIIMS, will discuss about certain drugs an.. The video talks about data regarding omeprazole in CKD patients by Dr. Sanjay Kumar Agarwal, Professor and Head of Ne.. In this video, Dr. Sanjay Kumar Agarwal, Professor and Head of Nephrology, AIIMS, will discuss if any relation betwee..
Dr. Sanjay Kumar Agarwal, Professor and Head of Nephrology, AIIMS, will explain the calcium phosphorus metabolism in .. In CKD patient, how to choose calcium carbonate versus calcium acetate? In this video, Dr. Sanjay Kumar Agarwal, Professor and Head of Nephrology, AIIMS, will discuss about calcium carbonat..
Dr. Sanjay Kumar Agarwal, Professor and Head of Nephrology, AIIMS, will talk about the different investigations while..
Dr. Sanjay Kumar Agarwal, Professor and Head of Nephrology, AIIMS, will discuss whether the renal cell carcinoma is o.. In this video, Dr. Sanjay Kumar Agarwal, Professor and Head of Nephrology, AIIMS, will discuss about the diabetic pat..
Dr. Sanjay Kumar Agarwal, Professor and Head of Nephrology, AIIMS, will talk about initiating statins in a patient wi..